What is it that is so special about the Eucharist? "We live in an age that does not orient the heart toward mystery. As a consequence, too many Catholics approach the Holy Eucharist with—let's be honest—indefference. The Augustine Institute has provided a much-needed tonic. Presence is a perfect blend of storytelling to fire the imagination, personal testimony to stir the soul, and theological instruction to inform the intellect. This lively and compelling series on the central reality of the Catholic religion is ideal for catechists, teachers, and parents of children preparing for First Communion, and anyone who finds himself longing to love Our Lord in the Blessed Sacrament more but not knowing where to begin." "Here is the Presence at the heart of everything — the heart of the Scriptures, the Church, the world. The Eucharist is where our Savior and King, reigns within His kingdom, and renews His covenant with each one of us. This video series makes the reality of His presence and sacrifice so abundantly clear and practical. This teaching will evoke a response from the heart and mind." Although the Eucharist appears to be simple bread and wine, it is actually the “source and summit” of the Christian life. 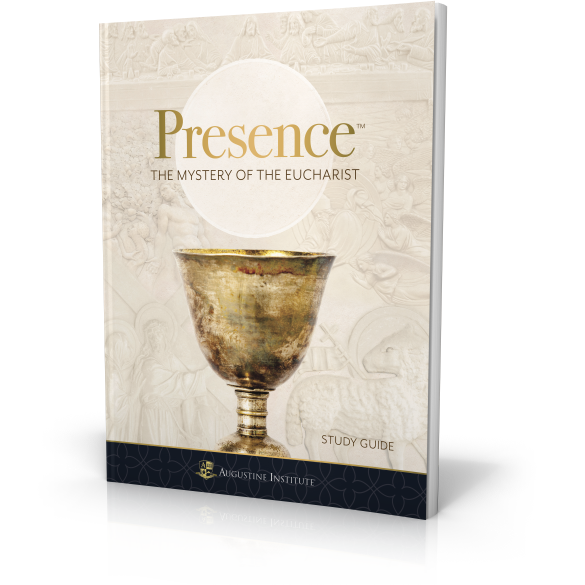 Presence: The Mystery of the Eucharist explores the truth and beauty of Christ’s Real Presence in the Eucharist, from its origins in Sacred Scripture, to its profound role in the life of the Church and its members. Click here to watch the trailer and learn more. 2. What are the episodes in each series called? How long are they? 3. Do the DVDs include closed captioning? 4. Are these programs available in Spanish? 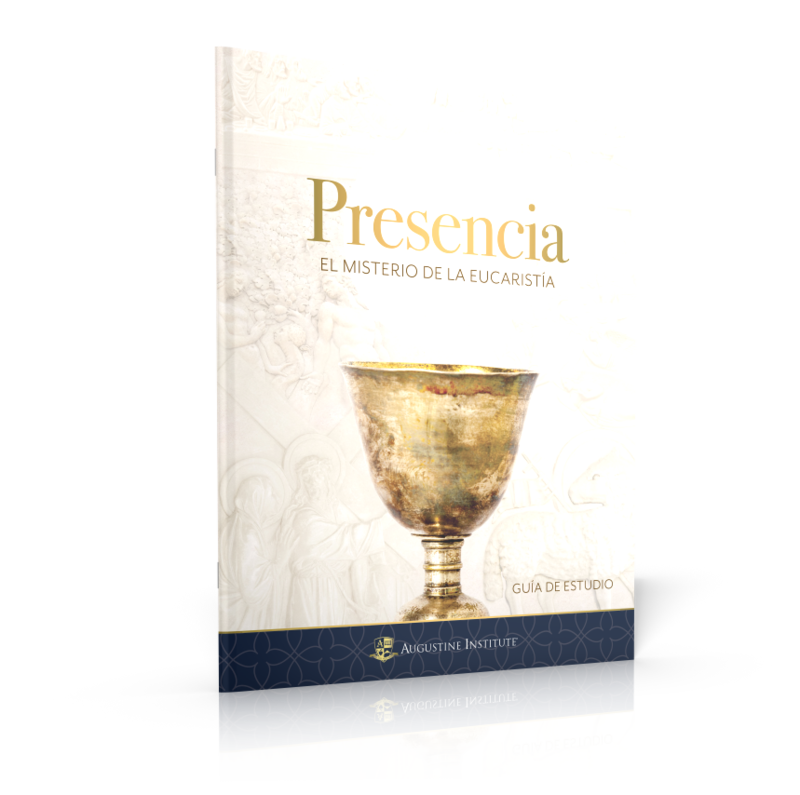 We are pleased to offer the first three Presence episodes (God Is With Us, The Story of the Eucharist, and Bread for the Journey) in Spanish as part of this set. Additionally, two bonus tracks from the Parish Edition (Biblical Foundations of the Eucharist and For Parents—Preparing Your Child for First Communion) are in Spanish. We recognize the need for additional Spanish language resources and while we hope to make Presence available entirely in Spanish, there are no definitive plans at the present time. 5. Are these DVDs optimized for International Use? 6. Can I stream Presence videos online? Not yet. 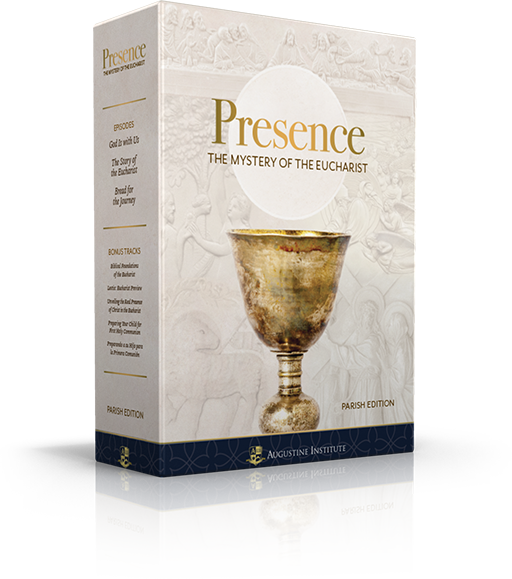 Eventually, Presence will be made available online through FORMED—our digital platform featuring hundreds of Catholic video programs, movies, audio, and eBooks. 7. How many weeks worth of content is included? 3 weeks’ worth of content is available. 9. Who is the intended audience of the program? 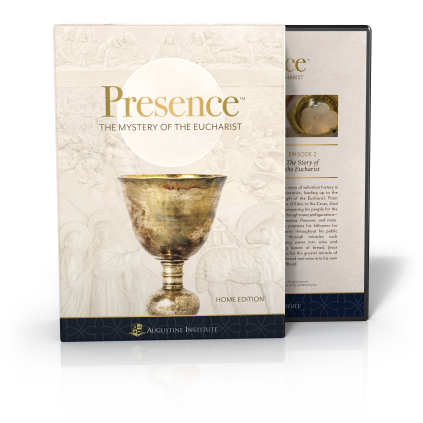 Presence is available in two editions, along with participant and leader guides. The home edition includes three stunning episodes and a special walk through the Mass for children. 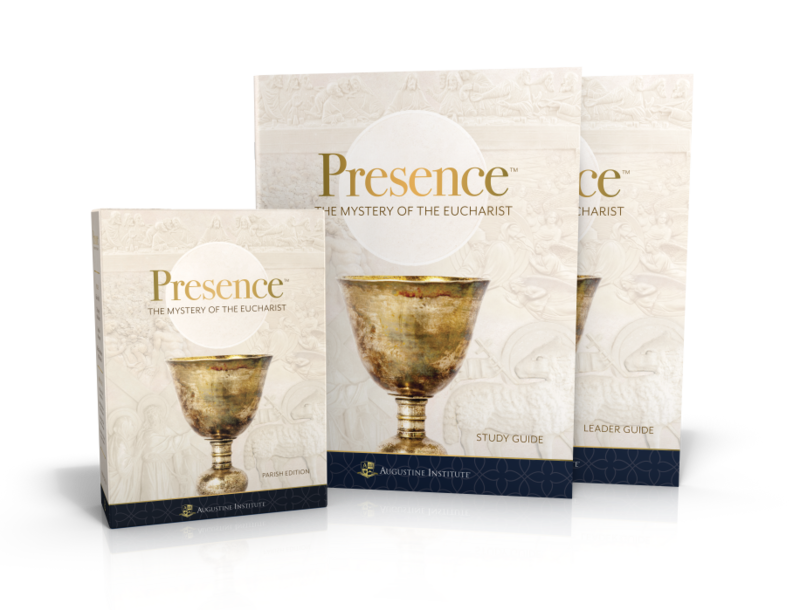 The parish edition, perfect for sacramental preparation and promoting more active participation in the Celebration of the Eucharist, also includes an apologetics segment and other helpful materials to prepare catechists and parents for this Holy Sacrament. 9. Do I have to go through Presence with a group or will I benefit from it doing it alone? We designed Presence to be utilized either in a classroom or family setting or for individual use. That said, viewers would benefit from completing the Participant Guide and watching video content on their own. 10. Does Presence have a Nihil Obstat and Imprimatur?